Fans of NBC’s Taken, and I mean both of you, take note. 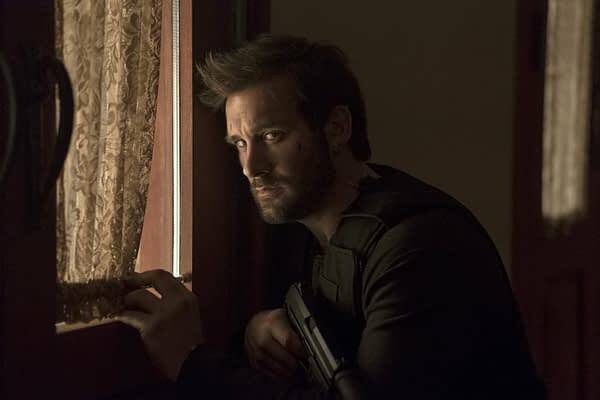 The television adaptation of the hit Liam Neeson movies may have gotten a second season, but Clive Standen doesn’t seem to have that particular set of skills needed to take it any further. NBC has announced that they’re pulling the series from its Friday night, 9 p.m. time slot effective immediately and will return Saturday at 8 p.m. on May 26th… basically burning off the final episodes. Dateline will air in its place for the next three Fridays. The series went through a soft reboot after season one in hopes of turning it into a hit, but that seems to have failed. Standen stars with Jennifer Beals as members of a team of covert operatives performing rescue missions around the globe. The change between the two seasons dropped six regular characters and replaced them with actors Jessica Comacho and Adam Goldberg. Ratings for season one averaged 1.0 in demo on Monday nights, but current ratings on Fridays are coming in around 0.4. Word has also come in that the CBS comedy series Living Biblically appears to also have been pulled from its Monday at 9:30 p.m. slot and at least the next two weeks will be replaced by reruns of The Big Bang Theory. The series was not included in the early renewals handed out by CBS yesterday, giving a good indication that the low-rated series didn’t have a bright future.